Submitted by Sam Qasba on Thu, 2010-09-30 10:34. 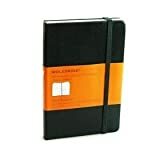 I'm looking for agendas or planners based on a ring-system (like the filofax) made of cordura or other synthetic fabric. Can give me any link? Submitted by ygor on Thu, 2010-09-30 13:19.